Memorial services are scheduled for 10 a.m. Tuesday, May 29, at West Main Baptist Church for Daisy Drake of Artesia. Drake, 85, passed away Wednesday, May 23, 2018, in Artesia. Jason Kraft will officiate the services. Cremation has taken place under the direction of Terpening & Son Mortuary. Daisy was born Oct. 31, 1932, in Glenwood, N.M., the daughter of George and Amanda (Allison) Armstrong. 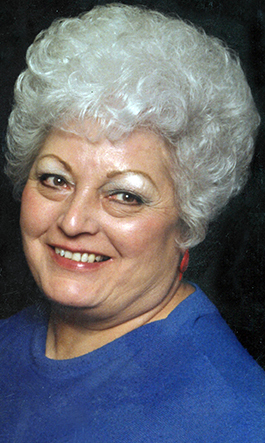 She was a longtime resident of Artesia. On Dec. 24, 1946, she married Ray “Pappy” Drake in Lubbock, Texas. Daisy was the manager of the Hospital Auxiliary Thrift Shop for many years. She was a member of West Main Baptist Church, the Senior Center, and the Moose Lodge. Daisy loved playing bingo and SkipBo, and spending time with her grandchildren and great-grandchildren. Survivors include sons Chalk Drake and wife Larraine, and David Bouk Drake and Ronnie Shulz, all of Artesia; daughter Joanna “Kiss” Martin and Eddie Sellers of Artesia; daughter-in-law Anita Drake of Artesia; sister Marie Stone of California; grandchildren Shawn and Amanda Martin, Billy and Michelle Drake, Cody and Crystal Martin, B.C. and Megan Martin, Dylan and Christine Drake, Stephen Drake, Katelyn Drake and Brett Hill, and Joel Shulz; and 10 great-grandchildren. She was preceded in death by her husband, Pappy Drake, on April 8, 2005; her parents; son DeWayne Drake; one brother; five sisters; a grandson, Joe Drake; and great-grandsons Bryce Martin and Braxton Hill.